I love these Ric Rac Roses! They are so beautiful! And you can add them to anything and make a statement! They are really easy and fast to make too. I put mine on a ring and I love it! 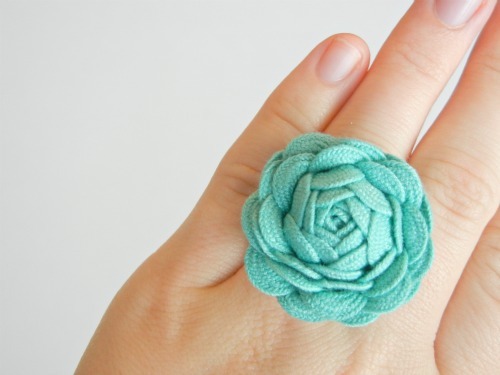 Learn how to make a Ric Rac Rose on The Ribbon Retreat Blog. See where I linked up in my Link Parties tab! Thank you for sharing! I can't wait to get on this immediately! I love this! I've never seen one made with ric rac and I think it's awesome! 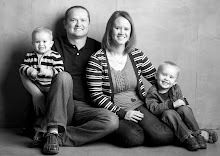 Thanks for linking up with Creative Me Monday! Can't wait to see what else you make. Very pretty! I've never seen anything like it! Soooo cute! I will definitely be making some Ric-Rac flower hair clips for my daughter. She'll love them! My girls will definitely be making these! Thanks for sharing. This is so cute! I will be pinning this as well! Thanks for sharing. I found your link-up through the Cherished Bliss link-up party! Can I just say how much I love this? It is so pretty. I'll definitely be shopping for some ric rac soon. loving the color of the ring and the ADORABLE pic of you and your boys on your sidebar! Great project! We'd love to have you join with our Project Pinterest starting Nov 3rd. Check it out! 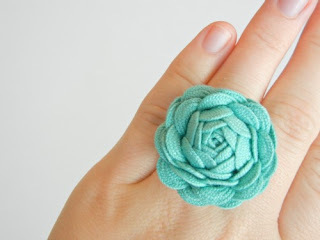 I've never thought of making a rosette style flower out of ric rac! Genius! Love yours! Gorgeous! 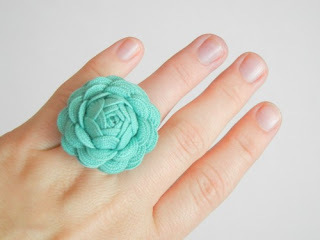 Thanks for linking up to DIY Diva Thursdays! I love it! It is so beautiful! This ring is absolutely darling! I love it!! I'd love fo you to link up to my very first Fresh Friday Link party! Oh thank you for sharing this tutorial!! These flowers are awesome! I featured you today in my Friday I'm In Love favorites! That's really cool! Those roses could be a awesome substitute for a bow on a wrapped gift. These are so cool!! Thanks for linking up!! Oh my goodness! I love this!! Thanks for sharing this week. 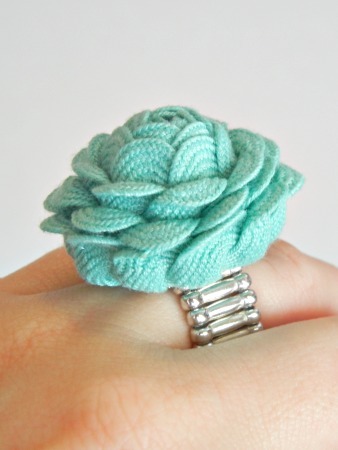 I wanted to let you know that I will be featuring your ring tomorrow @TheGunnySack! This is gorgeous!! I LOVE IT!! I am for sure adding that to my list of things to make :) especially since I have some leftover ric rac! Oh I love this, especially because it's bold. Can't wait to check out the tutorial. Thanks so much for linking up at this week's BFF Open House! You have just helped "Santa" with a Christmas gift :) Thank you. I love this idea! I'm going to go make one right now! LOVE IT! 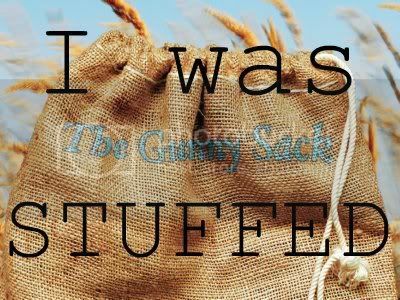 I'm sharing today on my blog! This is awesome! I featured you today, come check it out. I have made them before but I don't think mine turned out as lovely as your ring. I would love for you to join my weekly linky fri-mon, come strut your stuff. I also have two ongoing seasonal linkies for Fall and winter. I featured this today at Mine for the Making! 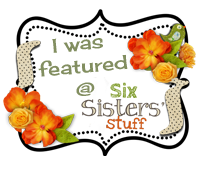 Come on over and grab a button :) I hope to see you back at the fashion linky tomorrow! You rock so I featured you this week at my Hookin Up with HoH Link Party! Oh my - so darn cute! Hi! 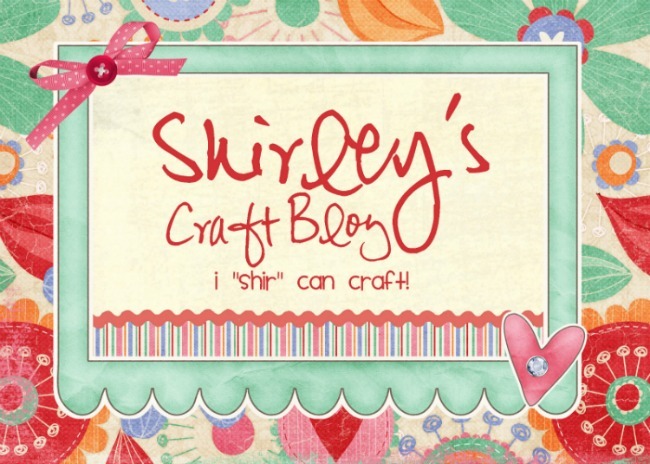 I'm Shirley and welcome to my blog! I used to craft and blog for The Ribbon Retreat, so I started this blog to share those crafts in blog land with link parties. Now it's officially my place to share my crafts and tutorials. I'm a wife to a computer programmer, mom to two cute little boys and an angel baby girl, and I love sharing beautiful things. Thanks for stopping by! 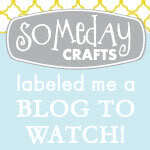 Graphics used in the design of the header are from www.SweetShoppeDesigns.com.